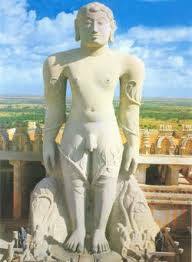 February 8 2006 was a big day for Shravanabelagola in Karnataka. It marked the millennium's first Mahamastakabisheka, the head anointing ceremony of revered Jain icon Lord Bahubali, or Gomateshwara. As with all things holy, the day-long ceremony began with prayer. Jain monks carried the holy water from the Digambar Jain mutt to the venue. To the chant of hymns, the pontiff Charukeerthi Bhattarka filled a giant pot with rice and sealed it with silver coconut, signalling the inauguration of the spectacular event.